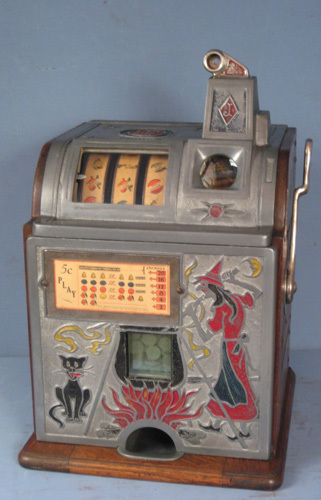 I am looking to buy any Mills QT Thunderbird slot machine with all original mechanics / hardware and in good working condition. I have a Mills 5 cent QT in excellent shape and runs smooth as a Swiss watch. See attached photos and comment on #5.